Woman’s love jewelries, I myself love to have different types of jewelries but unfortunately I don’t have lot of money to spend for this kind luxury. And since its Christmas I want to pamper myself with a very nice earring. 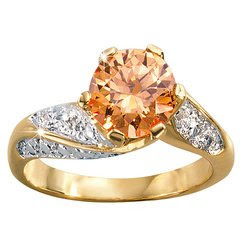 If my budget permits me to buy something that will get along with the earring I would love to have a ring. And because I have a tight budget I make an effort to search online on where I can find cheap yet genuine jewelry. Good thing I find this website called Holsted Jewelers at holstedjewelers.com, they have wide selection of beautiful, affordable designer costume jewelry. Now I can buy the earring and ring I am wanting for my self this holiday season. In few hours from now we will know who hall prevail on the dream match of the year. The Manny "Pacman" Pacquiao and Oscar Dela Hoya boxing match. This fight is Pacman's first fight for this division and I am pretty sure he need his power to win this match. So, let just pray that our boxing punch will win in this match.